Mara started using our Hind Leg Weakness Damp Heat Formula. 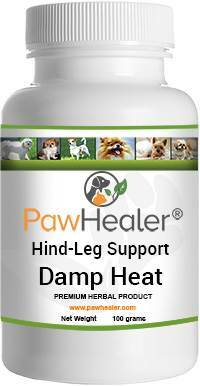 This formula helps dogs with hind leg weakness accompanied by the following heat symptoms: Warm hind legs and hips, hot joints, swollen joints, panting, and hot spots on the skin. Within a month of using our formula Mac's overall self has improved, as Mara said, his disposition is better and his eyes are brighter as well. Thank you Mara for sharing your experience with us! "I started using PawHealer about a month ago. MAC is a 10 year old golden retriever. As with all Goldens I worry about his hind legs. 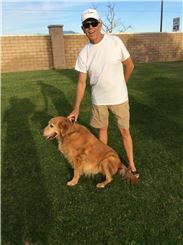 My cousin, Becky has seen amazing changes in her Golden Doodle Sunshine since using PawHealers and I am looking for similar results in MAC. This is my second order of herbs for . His eyes seem brighter and his disposition is better." My name is Bogey. I'm a 12-year-old Golden Retriever. My folks noticed that I was having quite a time with my back legs giving out on me and was I restless at night - panting and waking up. They found the Paw Healer website, typed in their concern for me. 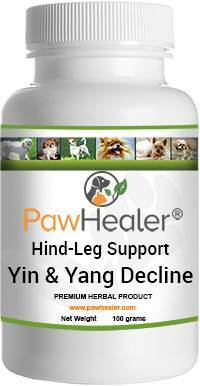 Paw Healer suggested the Ying and Yang Decline Formula and oh how this product has helped me. I sleep much better at night and the old legs seem to have a little more life to them. Thank you so much Paw Healer!!! 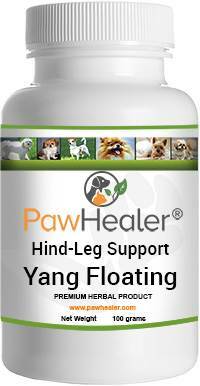 Hind Leg Weakness Yin & Yang formula helped Sport the most & give him quality of life! My handsome Baby Boy, Sport, has had back leg weakness for about 9 months. I retired him last year after 11 years of Therapy work (he is15 now) due to his back legs getting weaker and weaker. Its hard to watch a dog who once ran miles and miles, hike numerous trails &amp; chase deer in the Forrest of Utah live his last years barely able to walk 50 yards without falling down. I tried other herbs, but found the Hind Leg Weakness Yin &amp; Yang formula to help him the most &amp; give him quality of life! 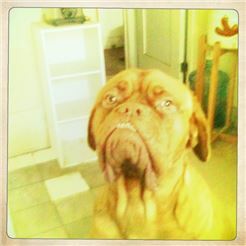 My sweet Bella, a Dogue Du Bordeaux of 11 years age, had a serious loss in her hind leg strength. 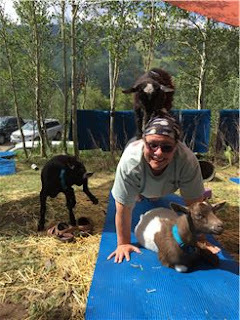 Within a week of first trying your formulas, she started to seriously regain her strength and mostly regained her hind leg strength in about a month. No vet or anyone else couldn't understand what to do or how to restore Bella's vitality!! Thank you Paw Healer for allowing my Bella to enjoy her remaining days in better health!! Peaches, a shih tzu, in 2013 at around 4 years old started limping on her back leg and unable to walk very far. When I took her to the vet, I was told she had a partial tear in a ligament. Surgery would cost between $1,200.00 to $1,600.00. I went on the web and read in some cases, over time, it could heal on its own. Doing more research on the web. I found Pet Healer. They suggested Peaches take Hind Leg Weakness and Devil's Claw. A year ago they suggested "Joints" (complete joint care) in place of Devil's Claw which she is taking now. I discontinued Hind Leg Weakness as she is doing so much better. She goes for her walks, and fights with my other dog Bo. Thanks to Pet Healer she is a different dog.